Kunming, China - Jinmabiji Square Jinbi Rd. 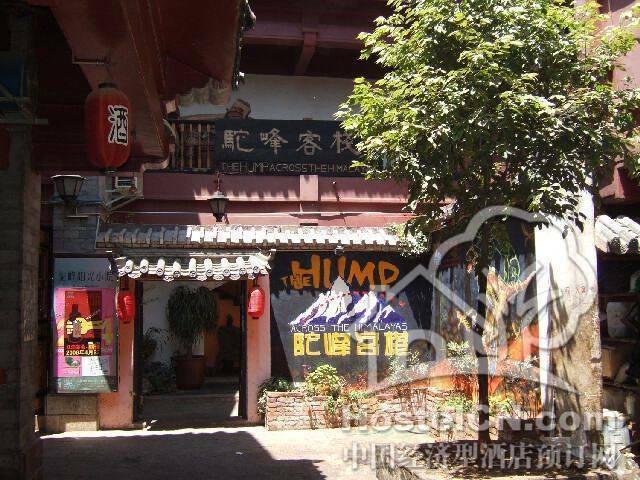 Located in the city centre, The Hump Guesthouse is the most famous destination for backpackers in Kunming. Banks, shopping malls, super markets, restaurants, and pubs are all within walking distance. The main bus stop nearby the hostel will help you to reach all the sites of this beautiful city. Start your day with a breakfast in our spacious common room. 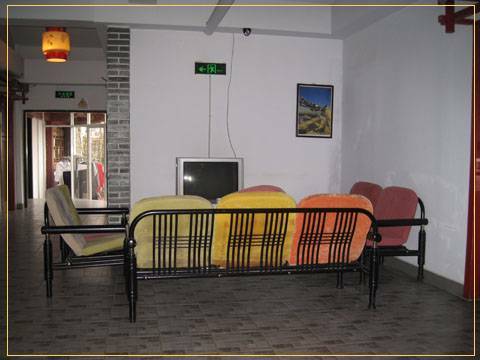 In this common room, we have a bar, restaurant, and satellite TV, so you can order drinks and food, or just enjoy the music while taking a break. 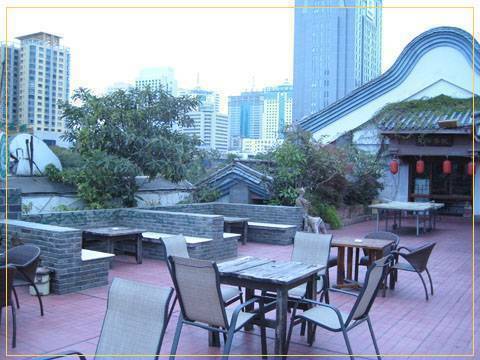 We also have the coolest roof garden in Kunming for travelers, including a pool table, table soccer, a reading area with bean bags, and plenty of room to just chill out and soak up the sun. As soon as you step into this laid-back scene, all the hustle and bustle is left behind because of the open, casual, and rich cultural atmosphere. The Hump features a large roof garden overlooking the main square and the old Western gates to the city where the Burma Road terminated. 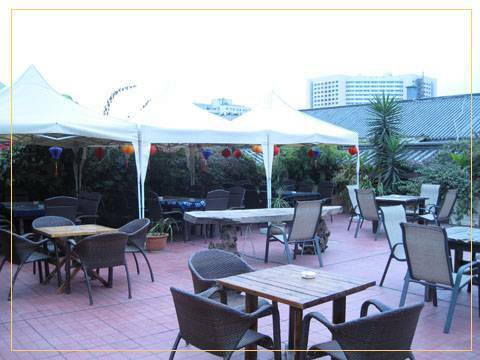 There is a bar, Internet, book exchange and entertainment offered, as well as simple food options. On arrival. 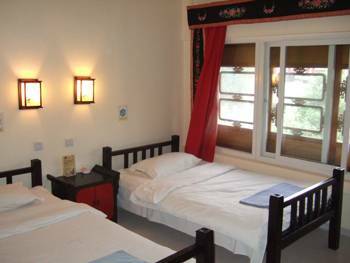 No cancellation fee however if guest has not arrived by the time advised the room may be sold. South Eastern side of Jinmabiji Square. 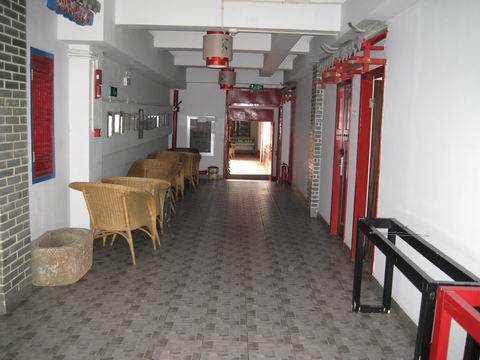 3rd Floor - entrance at rear of building above Brothers Jiang Restaurant. Kunming Airport to The Hump:Take bus #52 or #67 to International trade center (3 stops), and then change to bus 107 to Golden Horse Memorial Archway(5 stops) . From the exit of the train station go to Beijing Rd, go straight along about 200 meters to the first traffic light turn right to Yongping Rd then across the road take bus NO. 107 (west derection )to the Jinmafang (5 stops 1RMB) . The Hump is at the southeast of the square, and on the third floor. Take Bus No. 82 to the end, then walk toward to JinBi road, when you stand under the arch, we are located at the noetheast corner of square. Take bus NO. 60 to the end then walking about 20 meters turn right to Yongsheng Rd, at the first traffic light turn left, about 300 meters take bus NO. 107 to Jinmafang （5 stops 1RMB). The Hump is at the southeast of the square, and on the third floor. Take bus NO. 154(2RMB) to The International Trade Centre, and then change bus NO. 107 to the Jinmafang(5 stops 1 RMB). The Hump is across the road on the right. Rail, Bus and Air connections. Nearest airport: Kunming International 7 kms.